Baader O-III 10nm filter is perfect to enhance views of diffuse and planetary nebula, helping getting the most of your telescope performances. For example it can be used with The Veil, Lagoon (M8), Swan (M17), Ring (M57), Dumbell (M27) and M16 (Eagle). The Baader O-III perfectly isolates the two doubly ionized oxygen lines (496 and 501nm), through a very sharp and narrow bandpass (10 nm wide). Unlike other O-III filters, the Baader O-III completely blocks longer and shorter wavelengths. 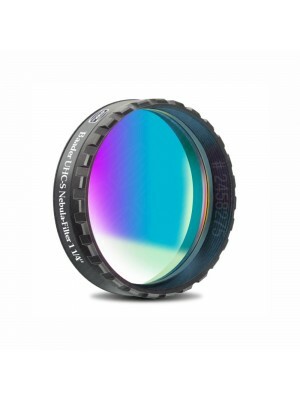 The result is the highest contrast achievable in an O-III filter.